The General Election of 2019 got underway on Thursday. Eight of the 29 Lok Sabha seats in the politically significant Western Uttar Pradesh polled in the first phase. 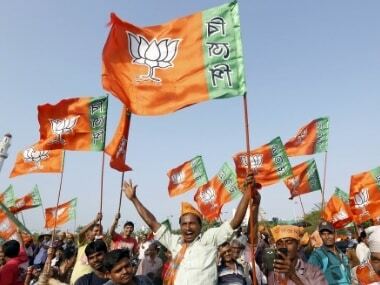 The voting pattern in this phase is expected to set the mood for the rest of the six phases in Uttar Pradesh which, with 80 seats to its name, can decide who makes it to Delhi on 23 May. Bitter and contentious as the campaigning was for this phase, there was one common theme: All the four parties in Uttar Pradesh — BJP, Congress, Samajwadi Party-BSP — invoked the name of Charan Singh and claimed they were the legitimate successors of his legacy. Beyond the fact that he was the former Prime Minister of India, not much is known to current generations about Charan Singh. Although he was not given much credit for it, Chaudhary Charan Singh was a fine agrarian economist, with a deep knowledge of and abiding faith in the strength of rural India to deliver just development. 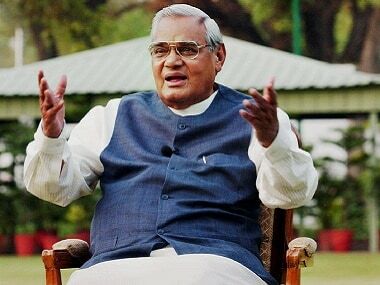 If he had lived longer, today's buzzing industrial settlements of Noida and Ghaziabad (both bordering Delhi) would never have seen the light of day. This we know because Charan Singh was a prolific writer and a meticulous record-keeper. Eminent political scientist Paul Brass, who wrote a three-volume biography of the leader titled An Indian Political Life, dug out his archives. Among them are letters Chaudhary wrote in the early 1950s and 1960s warning against rapid industrialisation of the areas that bordered Delhi. Chaudhary, often referred to as the champion of peasants, was anguished when he saw big tracts of agricultural land were converted into industrial estates at throwaway prices. He was distraught at the possibility of a large number of farmers being displaced from their traditional vocation and working as industrial labour. His running feud with a pro-industry leader of those times, Chandra Bhanu Gupta, was stuff of political legends. However, right in his lifetime, Ghaziabad and Noida were substantially transformed into an industrial area. But Chaudhary would have been horrified today if he were to see the mushrooming of thousands of brick kilns around the rural areas that are known India's granary. If one goes around Chaudhary's traditional bastion in Baghpat in western Uttar Pradesh — the constituency from which he won even in the 1984 Lok Sabha elections after Indira Gandhi's assassination, hundreds of brick kilns are operational that erode the fertile soil. Those who lease out land for mining and brick manufacturing find this business less cumbersome and more rewarding compared to agriculture. Indeed, Baghpat's transition from a rural region to a muddled urban centre is a fascinating journey. Barely 50 kilometres from Delhi (and now part of the National Capital Region), this constituency lived light years away from modern urban civic amenities. Once represented by a leader who became the state's chief minister and later prime minister, Baghpat is a living testimony to distortions created by the Indian democracy. Riddled by caste consciousness and acute feudalism, the region continues to wallow in ignorance and backwardness. Neither Charan Singh nor his son, Ajit Singh who 'inherited' the constituency, made any effort to put the area on the fast-track of development on the assumption that such a move would not find favour with the traditional way of a rural society. For the past five years there have been discernible signs of expansion of urbanisation and road network. Baghpat city is getting connected to state and national highways and it is coming closer to neighbouring Meerut and Delhi. Instead of unplanned and haphazard urbanisation, the city area is expanded in a planned manner to accommodate the spillover from the rural areas. In essence, this predominantly rural constituency has gradually acquired the demography and features of a semi-urban and urban place. The changing contours of the constituency have also redefined the voting behaviour of the electorate. For instance, Baghpat had earned notoriety for popularising the term "booth capturing", that is, rigging the polls. Powerful Jat landlords would not let other castes exercise their franchise if they refused to fall in line. Today, the situation has changed completely. With the Jats split along political lines, it is inconceivable to rig the polls as was done in the past. This is the precise reason why Ajit Singh has been consistently losing his grip over the seat that was once considered the impregnable bastion of the family. 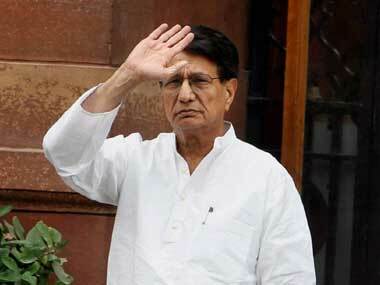 Ajit Singh, once a Union minister in the UPA regime, represented Baghpat in 2004 and 2009. But in 2014, he lost to Satya Pal Singh of the BJP, an ex-IPS officer who once served as Mumbai Police commissioner. This time, Ajit Singh has bequeathed his legacy to his son Jayant Singh, who last time had lost to Hema Malini in Mathura. Satya Pal Singh in his five-year term has launched many projects here, like building a sports stadium and opening a centre for recruitment for paramilitary forces and the army. Although sugarcane farming continues to be the mainstay of the economy, there are indications of people moving to non-traditional employment, mostly in the service and infrastructure sectors, in sync with ongoing urbanisation. This new development has significantly diluted the primordial identities and their influence over politics. In this context Jayant Singh's strategy of banking solely on caste identity — bonding with Jats on the basis of lineage — is akin to living in a time warp. Ajit Singh's Rashtriya Lok Dal (RLD) is seen exclusively as a party of Jats aligned with Muslims to defeat Narendra Modi and the BJP. Ajit Singh's efforts to consolidate support in his favour are also bolstered by a semblance of Opposition unity. The Samajwadi Party-BSP combine has endorsed his party in Baghpat, Muzaffarnagar and Mathura while the Congress has decided to stay away from these places to consolidate the index of Opposition unity. Although the contest appears to be tough, it would be wrong to interpret the region's politics with the prism of old social equations of caste and religion. The region has always been a simmering communal cauldron where communal polarisation is quite distinct. The assumption that a powerful caste like Jats would be a bulwark against communalism appears like indulging in grand self-deception. 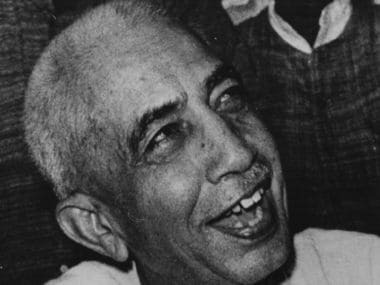 Historically, even Chaudhary Charan Singh, a hard-core Arya Samajist, was particularly never enamoured of the brand of secularism espoused by the Congress. These faultlines have only deepened as his progenies are desperately fighting to protect even the vestiges of Chaudhary's political legacy. 1Lok Sabha election 2019: As Western UP goes to poll, everybody wants a piece of Charan Singh; why? Who is he?